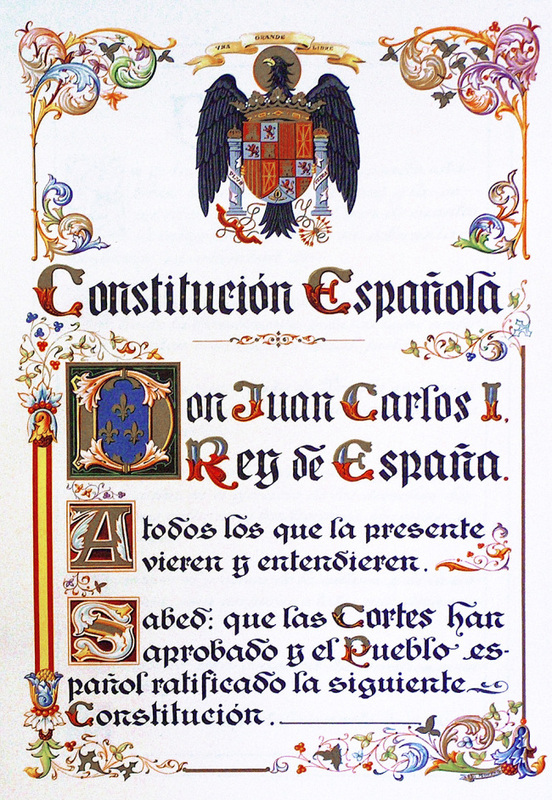 The people of Spain recently celebrated the 40th anniversary of the Spanish constitution that was approved in a national referendum and ratified on Dec. 6, 1978. Since the historic day, the supreme law has united all Spanish citizens, and launched Spain’s journey as an open, modern and inclusive country. Over the last four decades, Spain has established itself as a democratic state based on the rule of law. We have deeply committed ourselves to the European project as a European Union member state since 1986, prioritizing the European principles and values of democracy along the way. Furthermore, Spain has become a welfare state offering universal health care and education, and a world leader championing equality, human rights and international solidarity. Today we take pride in ourselves for many reasons. Spain has one the highest levels of democratic quality in the world. We have achieved remarkable results in territorial decentralization and regional self-governance. We are home to different cultures and languages and diverse groups’ ethos and idiosyncrasies. Over the last 40 years we have built an advanced and efficient health care system, capable of tending to the needs of all people, including migrants, foreigners and transnational workers in Spain as well as Spanish pensioners abroad. In terms of human rights, Spain is committed to ensuring equality for everyone. Madrid enacted legislation on comprehensive protection measures against gender-based violence in 2004, and in 2007, another legislation on effective equality between men and women. Both laws cover a wide range of preventive, social, health and assistance measures aimed at realizing substantive equality between the genders. In foreign policy, Spain has maintained an outward-looking and open stance over the last four decades. The 1978 constitution has enabled us to create a clear vision and position on the world stage, and enhanced our global reputation and credibility. We have actively participated in global affairs through political, economic, social and other channels. In this regard, I want to highlight that Spain hosted important international summits dedicated to issues concerning the Ibero-America, Middle East and Mediterranean. These efforts are progressively supplemented by Spain’s increasing presence in Africa and Asia as well as the United Nations. Our four nonpermanent seats on the UN Security Council -- the last from 2015-16 -- are a testament to the enduring legacy of the constitution. In the cultural sphere, Madrid has put concerted efforts into promoting the Spanish culture and language worldwide, eliciting the help of its public diplomacy organization, Cervantes Institute, and the Spanish Agency for International Development Cooperation. In retrospect, Spain’s modern-day development, democracy and pluralistic society could not have come about in the absence of the constitution. The supreme charter has ushered in a period of liberty, stability and prosperity previously unseen in our audacious history.